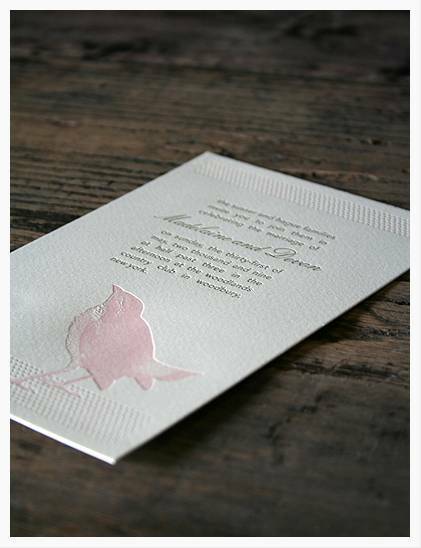 Real Weddings: My Invitations Are In! Alright, so we’re going to be really invitations-heavy in terms of subject matter this week, but I had to post this today. 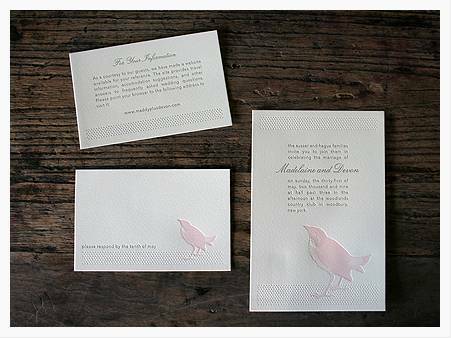 As I mentioned yesterday, I got mine in last week but had put off sharing with you all to give Nole from Oh So Beautiful Paper the opportunity to have first dibs on showing off the suite I designed and were printed by Hello!Lucky. Here’s a sneak preview – go to the article for more shots. 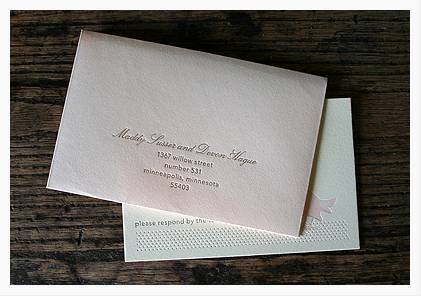 If you’re working with a designer and are looking for a great letterpress printer to output your custom pieces, I highly recommend Hello!Lucky. Alex, who was my contact, was patient, informative, and incredibly helpful. I don’t have enough good things to say about them. For more of my advice, check out Oh So Beautiful Paper’s article. If you have any other questions about my experience, don’t hesitate to send me an e-mail.